We service all gas appliances including boilers, fires, wall heaters, and we can visually inspect your cooker or gas hob. The service includes a thorough clean of the appliance, checking it’s efficiency, and paying particular attention to the safety of it. 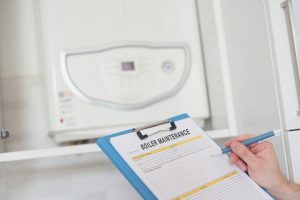 We can also offer a contract service plan, where for a fixed fee per month we will call out as a priority to any breakdowns or problems you may have with your central heating boiler and system. Parts and labour are free and you will also receive an annual service of the boiler. See our “Contract” page for more details or give us a ring. If you’d like to discuss a service please don’t hesitate to contact us.